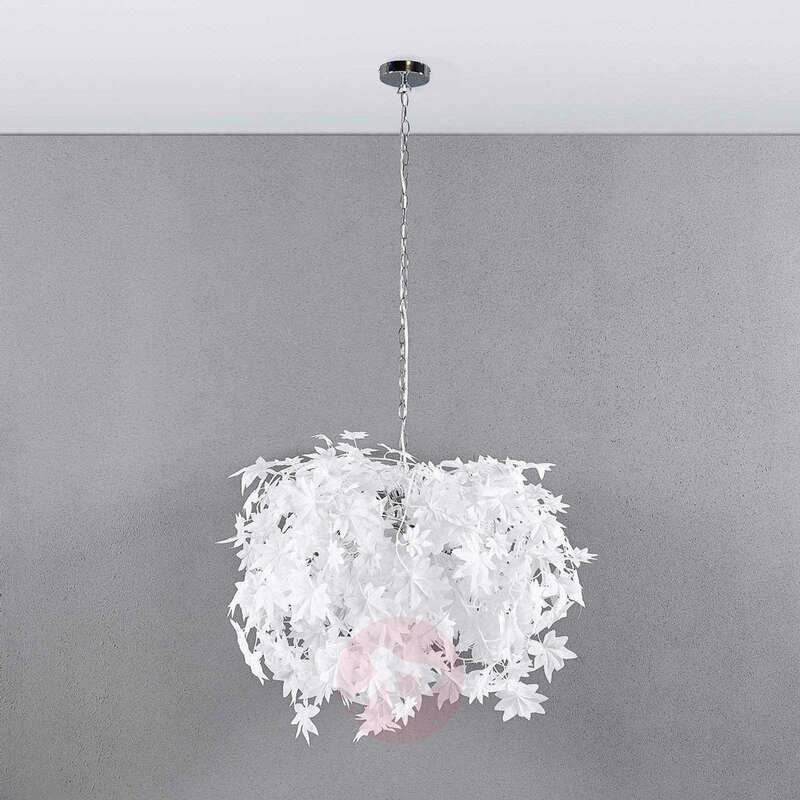 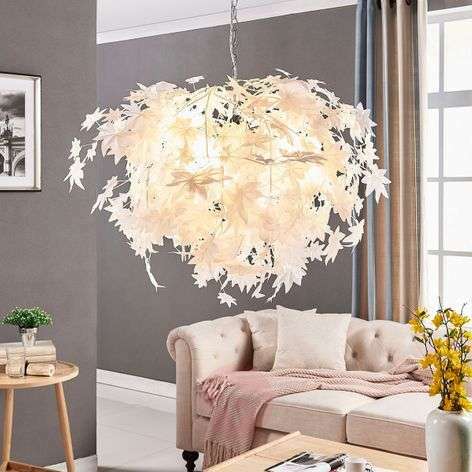 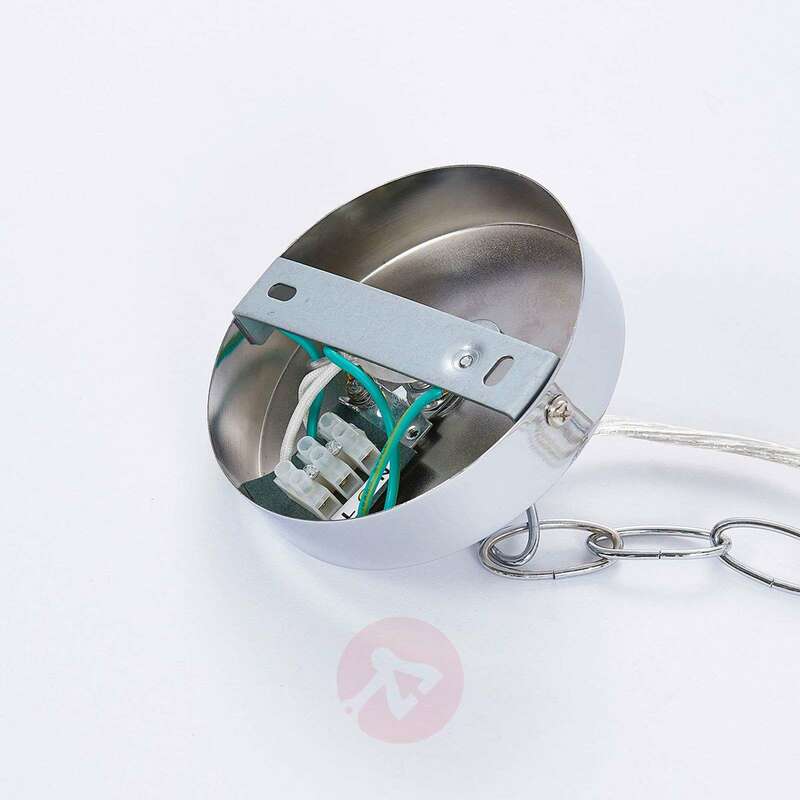 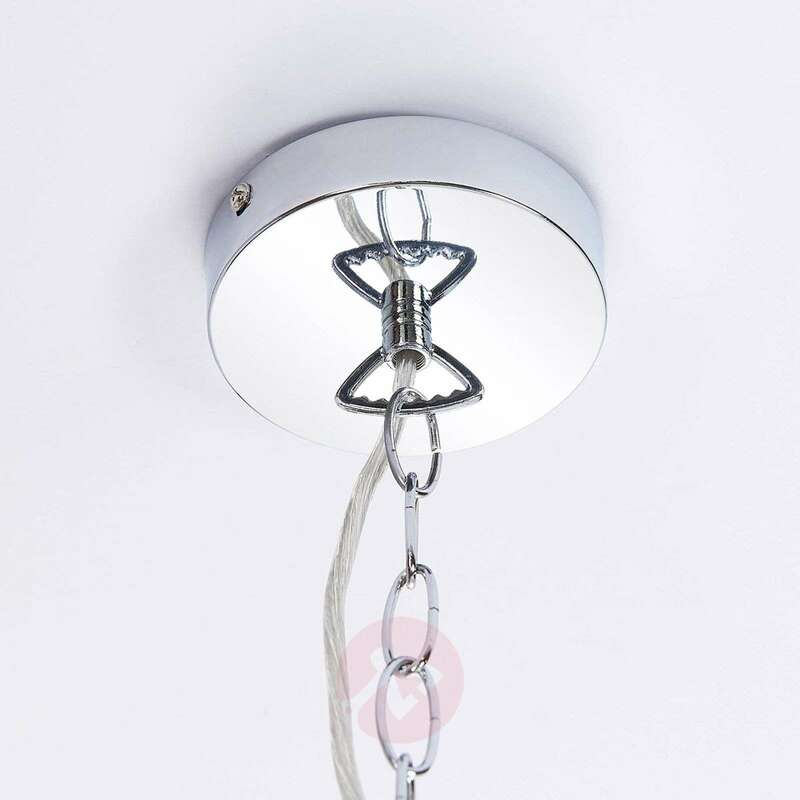 This hanging light is definitely worth a look; not least as a result of its large dimensions. 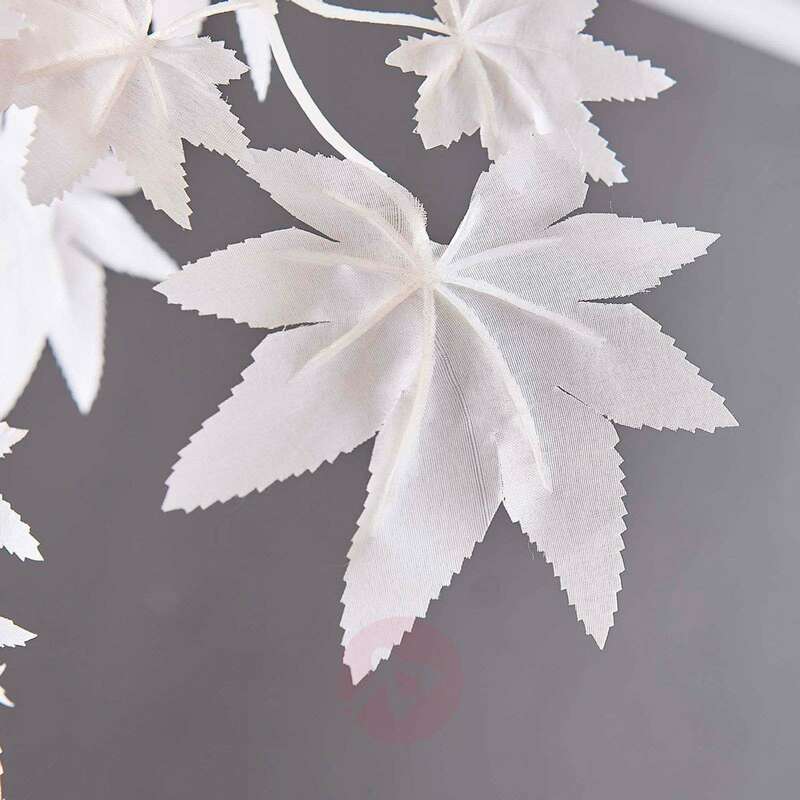 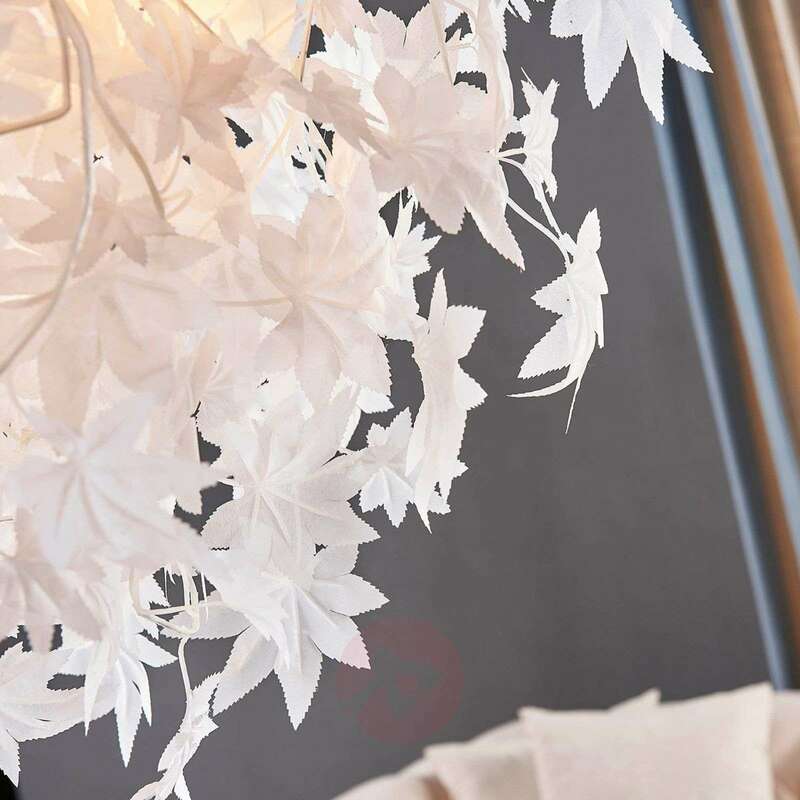 Instead of a conventional lampshade, the body of Maple is made up of numerous plastic leaves, which have been based on the maple leaf. 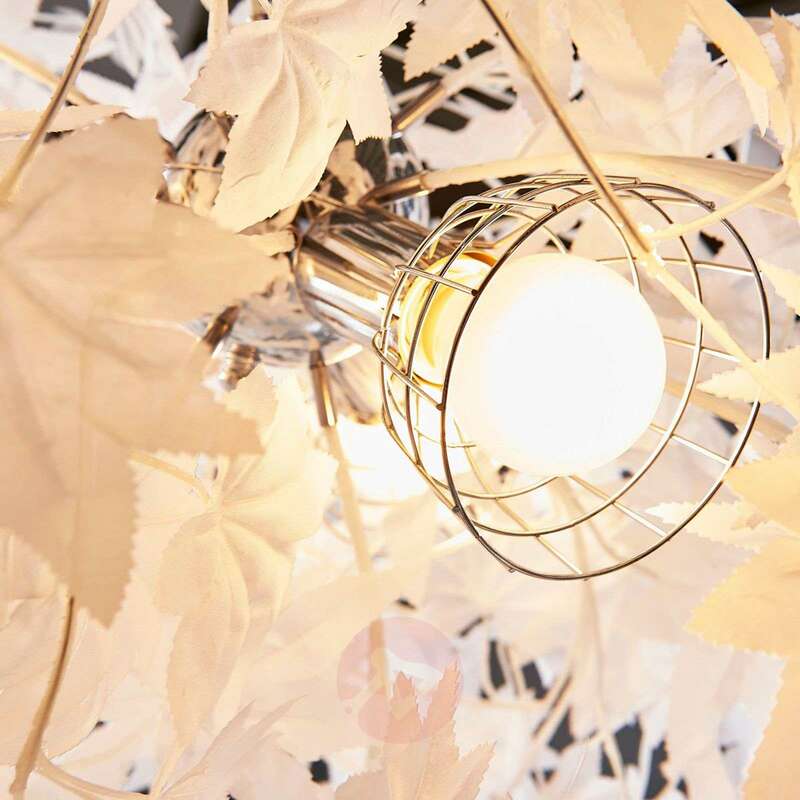 It sparks associations with free, carefree days outdoors amidst nature; like taking a lovely walk through the woods and watching as the sun shines through the trees, lifting the mood and creating a wonderful twinkling within the woods as the sunlight shines through the branches and leaves and creates an interplay of light and shade on the ground. 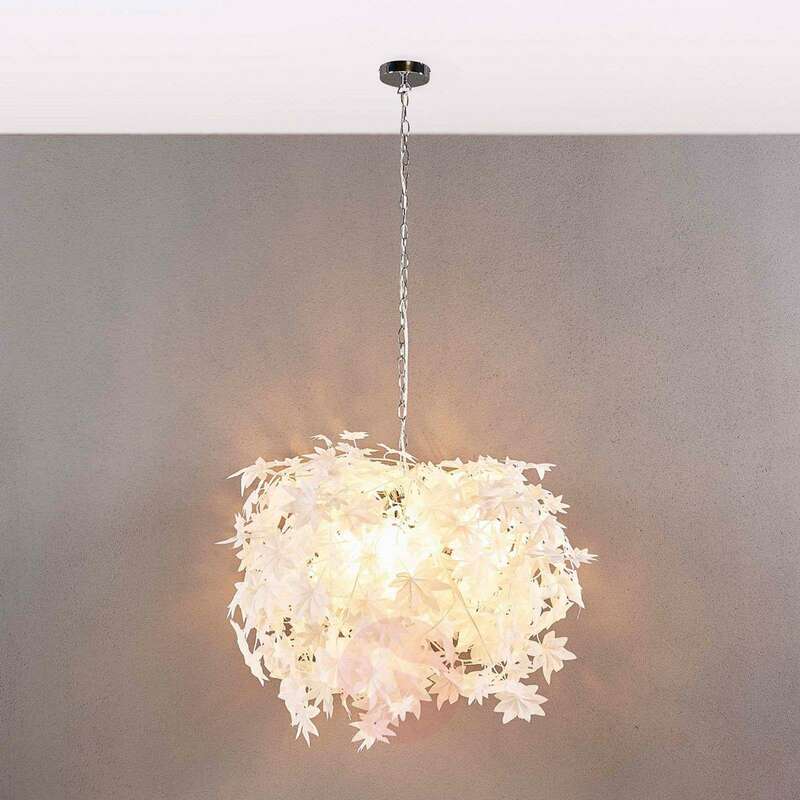 The pendant light is a great eye-catcher in vibrantly decorated dining rooms and living areas. It looks great when switched off, but really reveals its true beauty when it emits its lovely, atmospheric lighting.